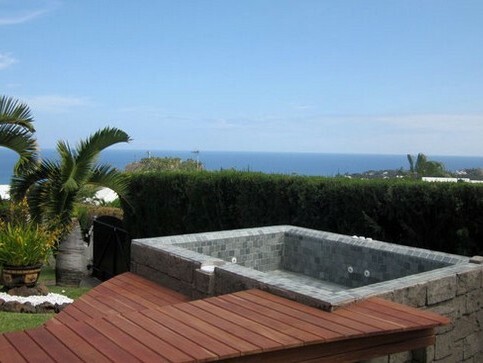 MARINAL reinforced concrete swimming pools are tailor-made constructions, so you can make the most of the opportunity to install a relaxation spa area (upon request). The spa area of your swimming pool will offer you very special moments of relaxation. You will enjoy the water bubbling down your back by choosing the intensity of the water jets. Your spa area can either be installed on the broad steps of your swimming pool or you can ask for the construction of a dedicated space, with a bench shaped structure which will be more tempting to settle down and relax. To create your relaxation spa area, hydro massage pipes will be installed in the very concrete structure of your swimming pool. In general, the MARINAL spa areas are equipped with 4 to 6 pipes with directional spray, which are specific for massage. The nozzles can be installed at various levels depending on the zones of your body you wish to massage: shoulders, back or feet. All configurations are possible, depending on your desires and the number of users. The ‘bubble’ effect is created either by air nozzles (blower) or by water nozzles. The jets strength is adjustable manually by a button which will be within reach. The spa works with a specific pump which must be installed very close to the pool to guarantee its full effectiveness. In MARINAL constructions, these pumps are often installed in a hole dug under the patio, or hidden by a camouflage formwork to go unnoticed. 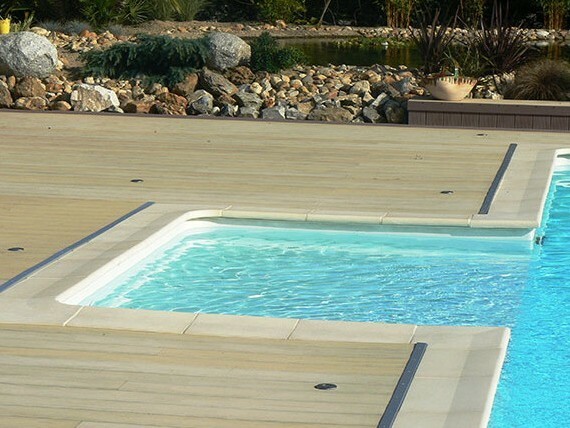 For a tailor-made study of your project of a MARINAL traditional concrete swimming pool with a spa, please contact your MARINAL advisor via our on-line contact form. 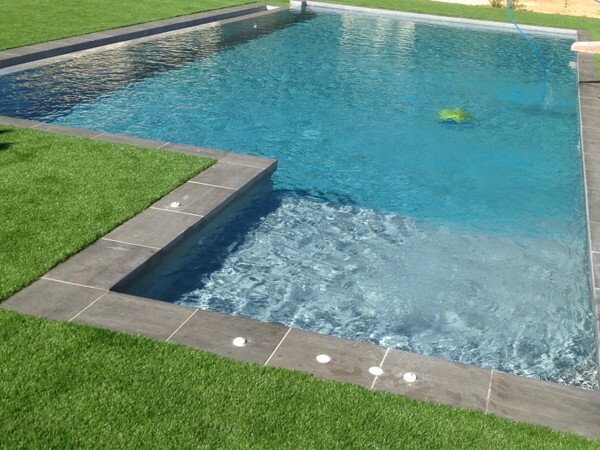 The additional price for the installation of a spa in your traditional swimming pool will depend on the specific construction you will request (for example: round bench) and on the number of hydro massage nozzles. 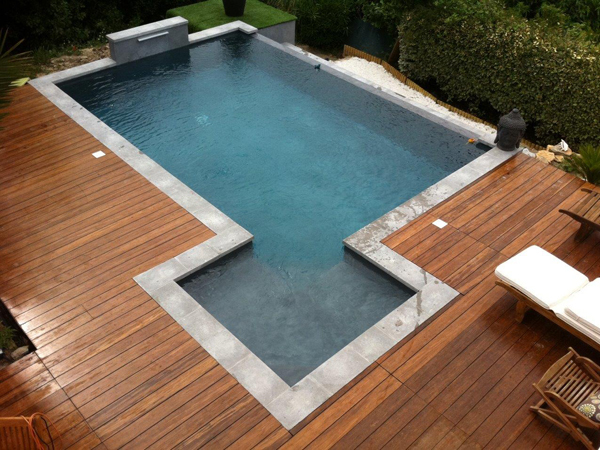 The spa will make your swimming pool more attractive and will add value to your house. Also don’t forget that anticipating a spa during the construction of an indoor swimming pool will offer you all-year-round long relaxation sessions in your spa, in the comfort of your home.